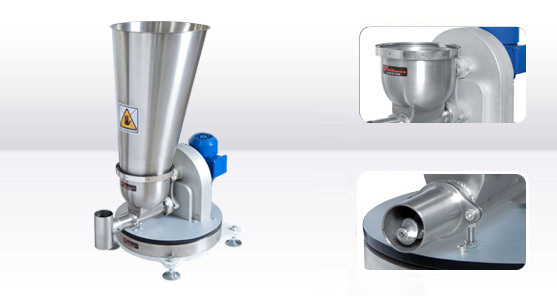 The operating principle of Puls Electronic Gravimetric Feeder with single screw is as follow; all of the feed system is standing one of the weighing platform. When the screw system works, each unit can also be weighed and decreasing the amount of material is calculated. This material amount is compared with the goal value and given the command to the engine for the calculated suitable speed. Simultaneous control and correction process with the target value is kept in a sensitive tolerance band. 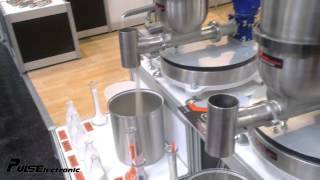 Puls Electronic Gravimetric Feeder System has more important feature then the classic volumetric feed system. This feeder much more sensitive. This system provides saving of raw material to the system enrty and ensures the homogeneity of the facility to more efficient operation of the system output. Volumetric system works with %10 sensitivity but the gravimetric dosing system works by 0,2% accuracy. So it provides to save the company rate of 9,8% for each hour. It has a special software. In a special thanks to the software, the system output checks the deviations of the target value and over time realize the changes of the characteristic of flow. By this way linearity can be ensured next of the accuracy. Furthermore, during and after Refill, the system continued in a control manner to contribute to the flow linearity. 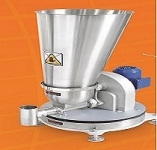 - It provides closed-loop control system with simultaneous weight matering and feed in the amount of supervision. - 8 feeders can be controlled at the same time. - Wide range limit automatically adapts differences in density of the material that may accur over time. - Material and output amount can be controlled directly. - It has high linearity. Thanks to its flexible design, offers suitable solutions for the different material and different capacity. Custom solutions could be found for the applications of granular, fiber or powder materials. 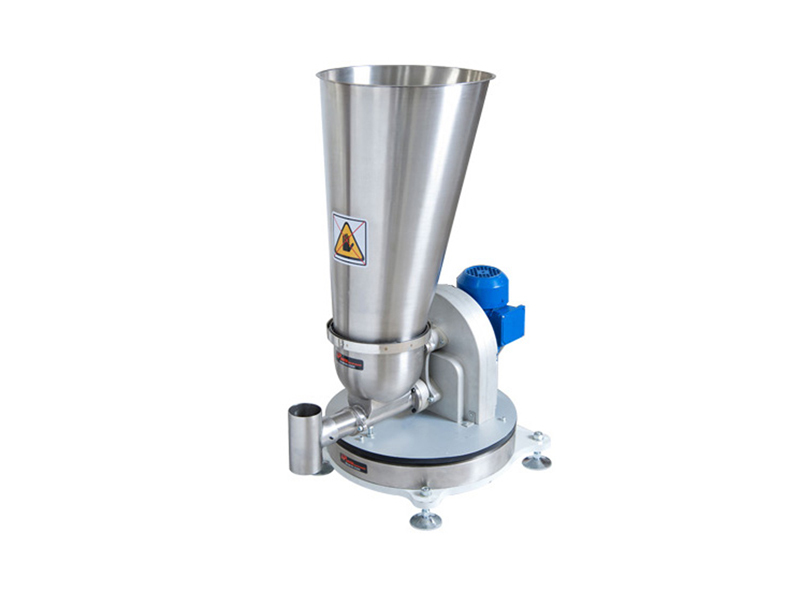 The feeder capacity is changeable between the 0,1-3000 L/h. It seems elegant with projection of single engine. Gear system running a horizontal mixer provides a linear flow to the fluency of a low coefficient of powder materials and it reduces the feeder error rate to the minimum. The resolution is 1:1.000.000 for the Pulscell Weighing Unit. It provides to calculate the resolution of sensitive weighing and accurancy and linearity of supply system in a sensitive level like 0,2% rate. The control system has a friendly interface to be helpful for operators and it shows everything on the touchmatic screen.